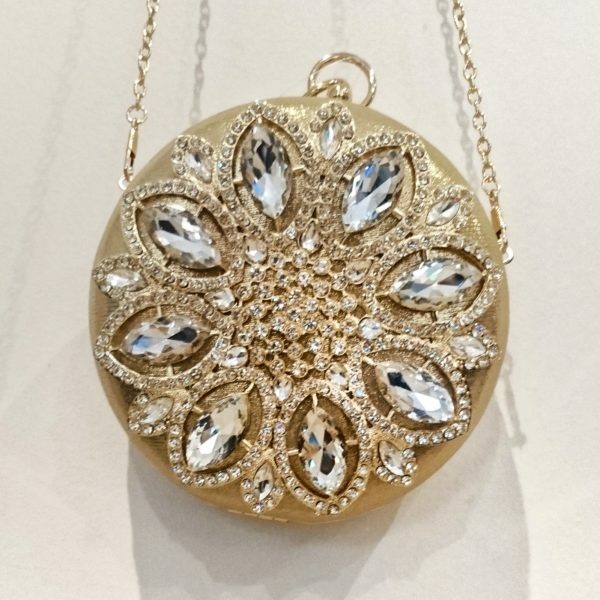 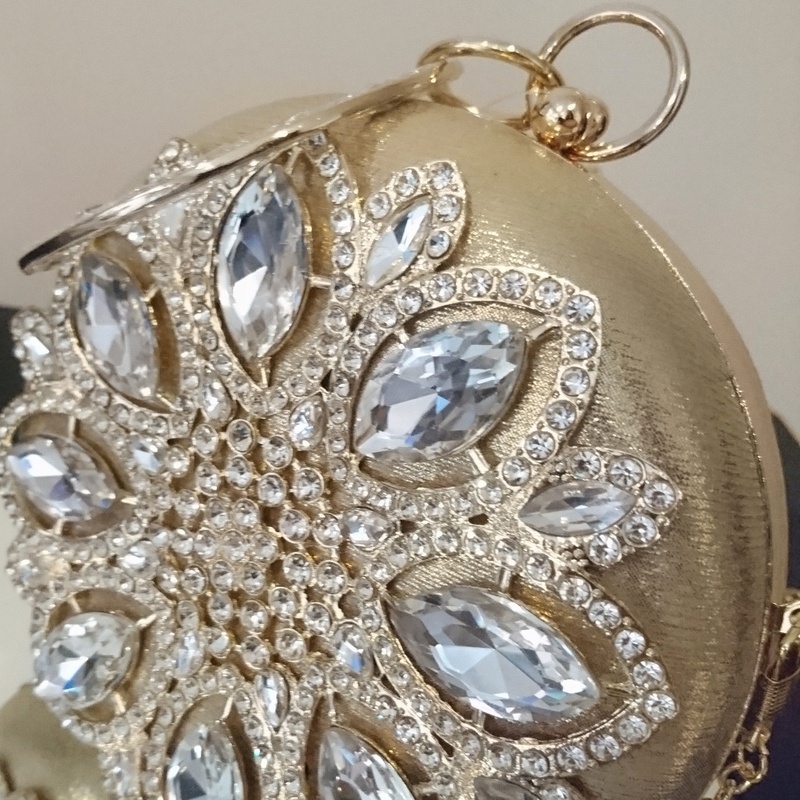 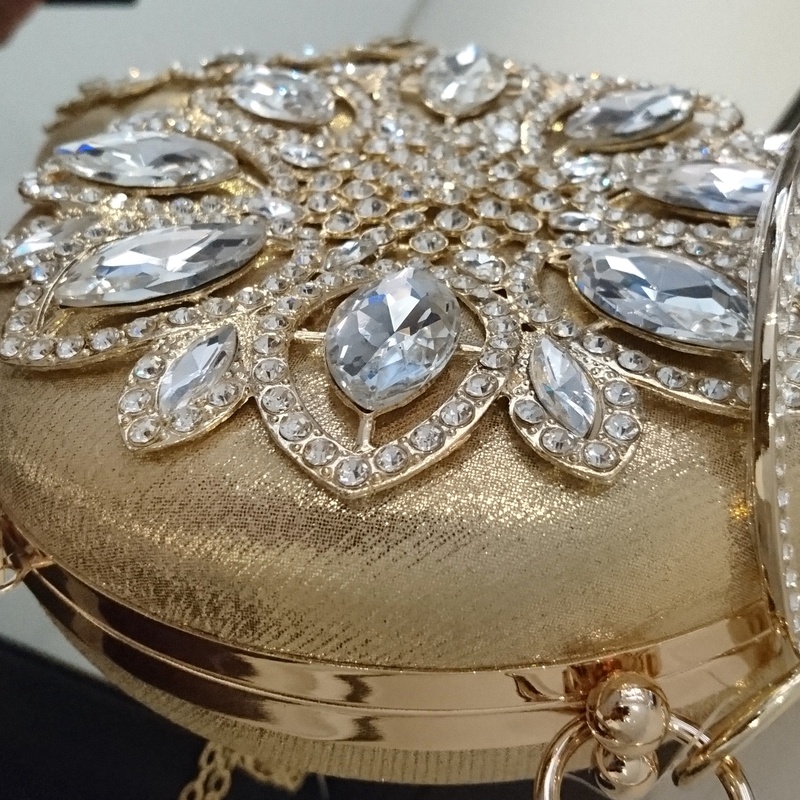 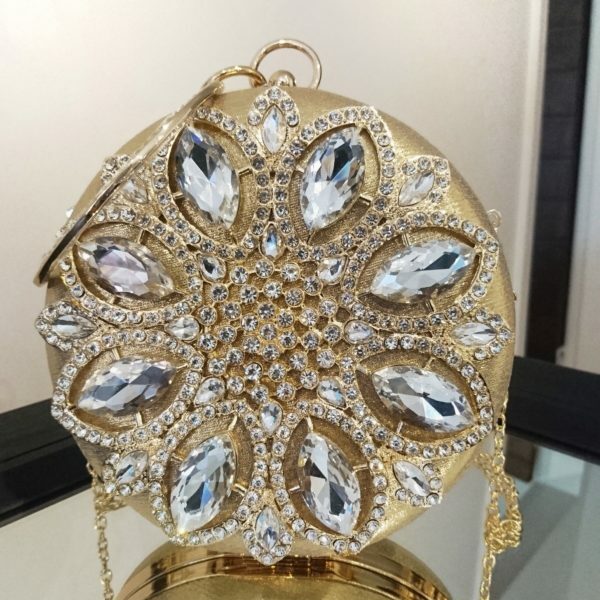 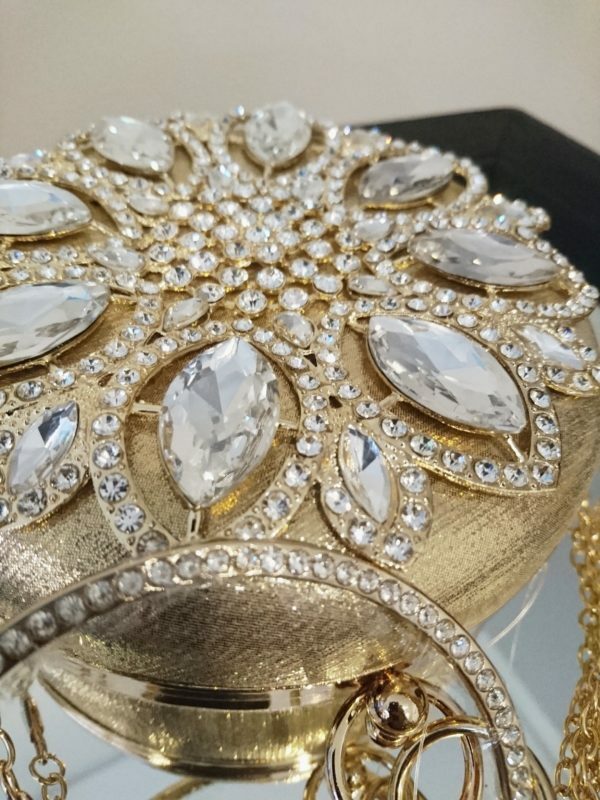 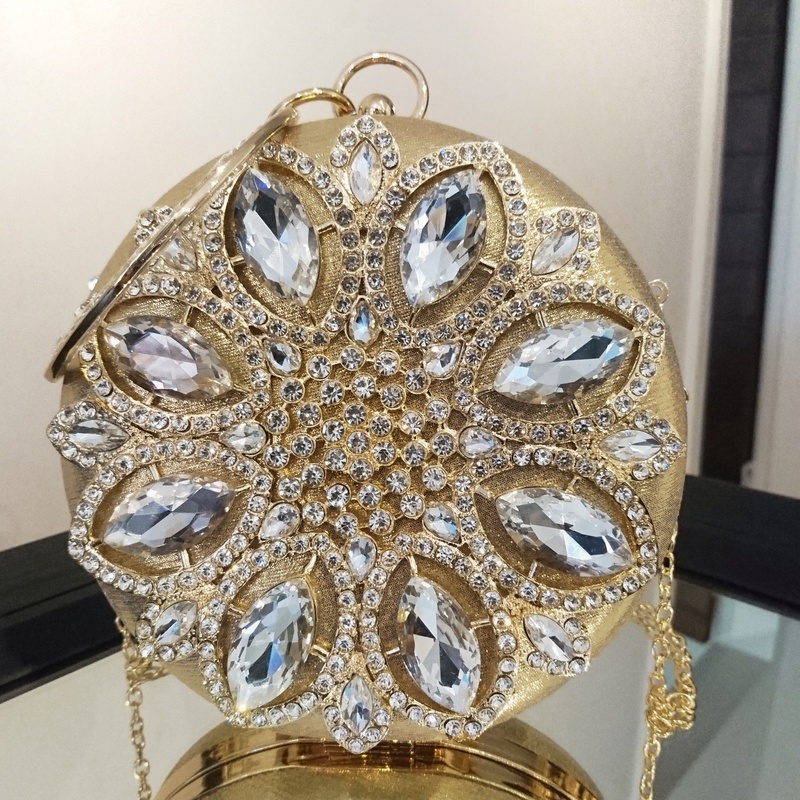 Type: Circular hard case leather touch clutch with diamante and crystal embellishments, featuring a bangle handle. Closure: Clasp closure with bangle handle and additional chain strap. 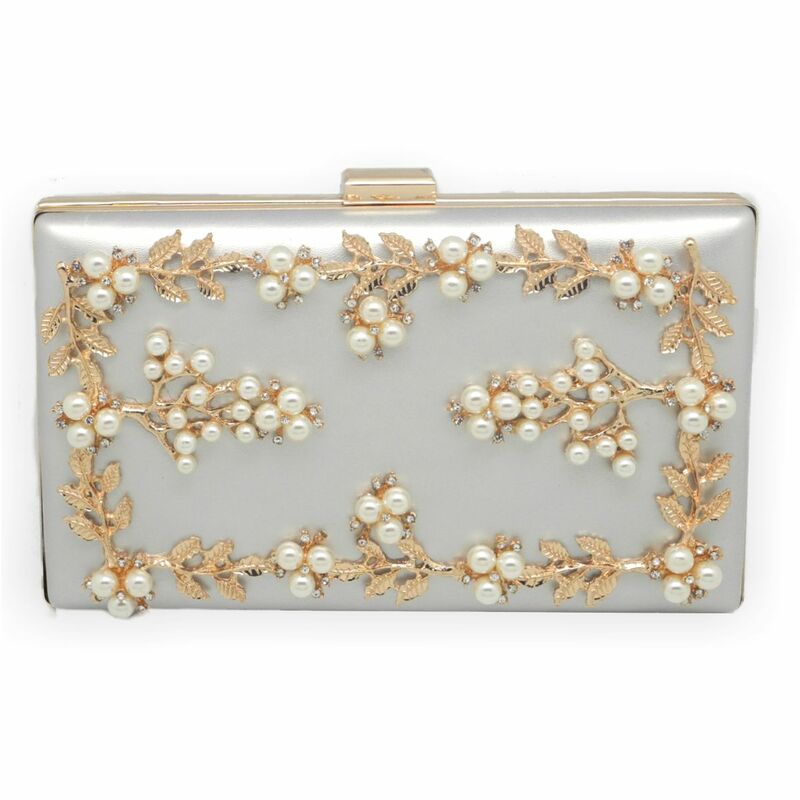 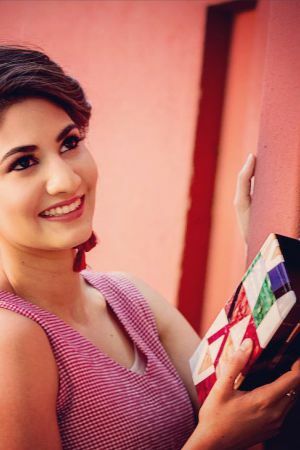 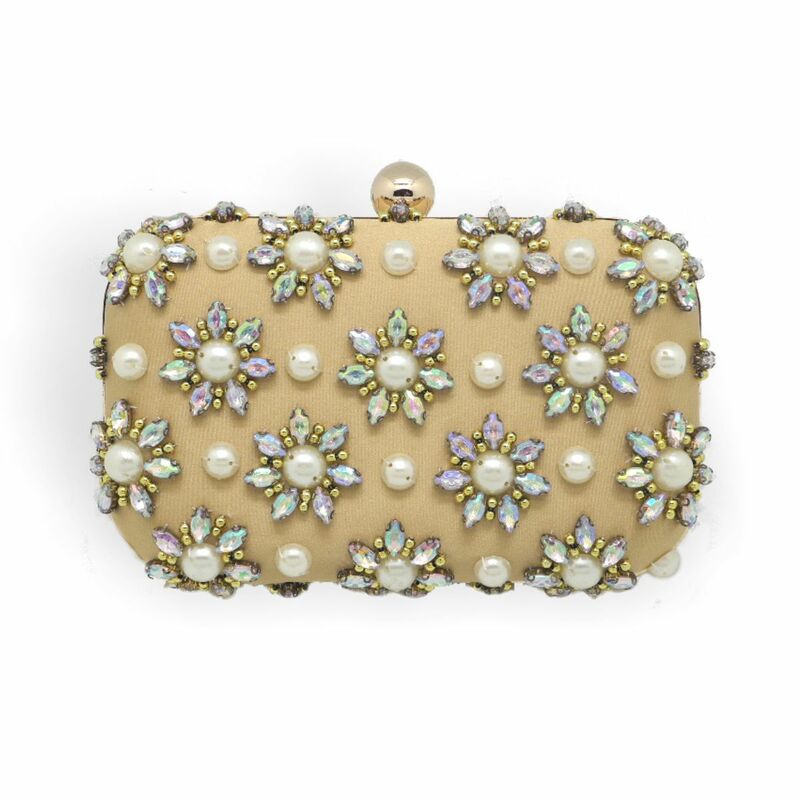 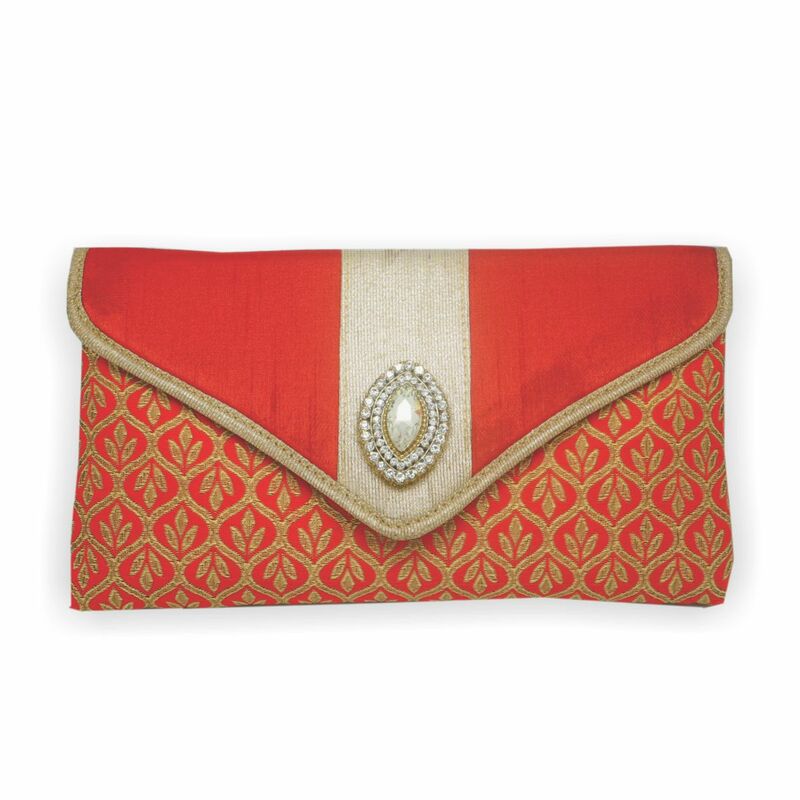 This clutch is a perfect addition to your couture outfit.